This change only applies to own defined functions, not PHP internal functions. 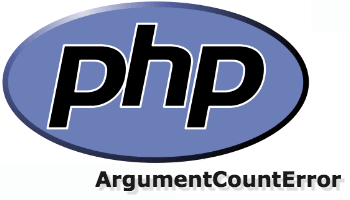 That ArgumentCountError exception gets thrown when your software passes not the minimum required arguments to a user defined function. ...block or make sure it will always have the minimum required arguments. If you have further questions: Just left them below in the comments.